By the time Black Panther wrapped up, the Marvel Cinematic Universe had seen one if its greatest villains, Erik Killmonger, come and go. Or perhaps not? 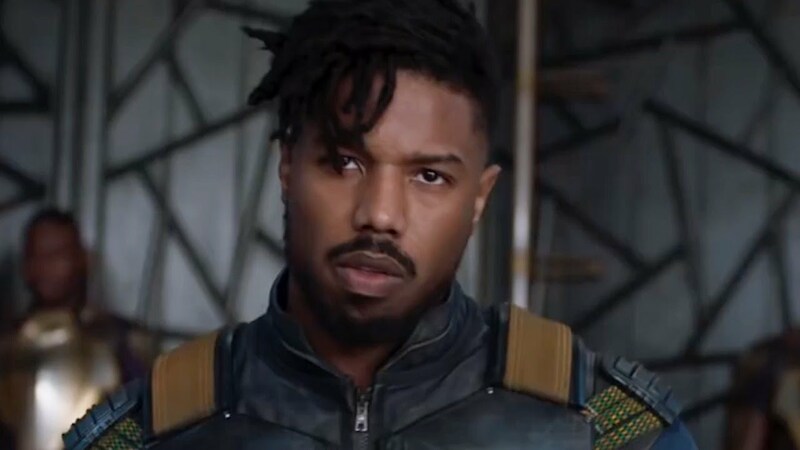 Michael B. Jordan absolutely killed it in the role, and it would be a shame if it was just a one-and-done appearance. Now a new rumor from Entertainment Tonight suggests we may not have seen the last of T'Challa's evil cousin. While on the red carpet at the SAG Awards where Black Panther won Outstanding Cast Performance, Angela Bassett was asked about highly-anticipated sequel, which will bring back director Ryan Coogler. Basset replied "I assume so" when asked about the cast returning, to which her husband and actor Courtney B. Vance chimed in with "Yes, just go ahead and say it, yes! Everyone will be there....including Michael B." I'll take this with a grain of salt because Vance isn't in the movie, he wasn't in the last one, and he's got nothing to do with the MCU at all, period. That said, Basset didn't exactly refute him when he said Jordan would be coming back, and it just feels like Killmonger's story isn't finished. There's no way in Hell the folks at Marvel are going to let Jordan go that easy. Don't be surprised if all the time travel mumbo-jumbo of Avengers: Endgame brings the Black Panther villain back to the land of the living. Or perhaps digesting all of that heart-shaped herb has made him much harder to kill.